Science is an important part of life as well as our studies which are 99% based on science. Oh, heck! Even several arts discipline are also being referred to as science nowadays. All this science mumbo-jumbo can make our studies difficult, stuffy, and to be honest…., quite boring if I say so myself. So what can be the solution to this problem? Well, we can’t do anything about our difficult studies because science subjects are meant to increase our IQ and make us smarter. However, we can do something about the boring and stuffy part, by making our studies fun and bearable. YES! We can make them fun and bearable by using these Five amazing and useful apps that can enhance your learning experience. Khan Academy is a comprehensive app that is based on the website of the same name. This app is basically a Type of an open online learning platform for the students of all ages. whether you are a university undergrad, an intermediate student or a grade-schooler, the Khan Academy will be there for you in difficult times. One of the greatest features of this app is that it contains a massive library of over 40,000 interactive Common Core-aligned practice questions. Furthermore, it also provides over 10,000 videos on subjects and courses that can be utilized not only by the intermediate students of Pakistan but an international audience as well. Since several lectures are found to be recorded in the English language. The app is available for both IOS and Android devices click the link below to download it right now. As a former Pre-medical student this app is one of my favorite. Frog Dissection is based on the most basic practice of intermediate Zoology that is the dissection of a frog. The real experiment is not a great experience at all as it is filled with bad smell, unclear objectives, hard to spot organs and guilt of killing a living creature. However, this app can eradicate all these experiences in one go. furthermore, it also provides a full explanation of every dissected part of the frog. Unfortunately, Frog Dissection is currently only available for IOS users, but there are multiple apps on Google play that are using a similar concept. To download this app right now just on the link below. A well-deserved entry on this list, the molecule kit is an extremely attractive application for the students of intermediate chemistry. The molecule kit is an interactive application that provides an animated simulation of multiple organic molecules such as Benzene, NaCl e.t.c. With the help of this app, students can easily tackle the conceptual problems of organic chemistry while having fun with over 40 atomic molecules. Moreover, it also provides a detailed explanation of the structures of these molecules, their chemical reactions, and their properties. This application is really amazing to Believe me! although it does sound boring, as you know one cannot judge a book by its cover. This is the case with the table of elements. Unlike its boring name, the application itself is wonderful and interactive as well as attractive. Similar to all generic chemistry application table of elements contains a periodic table with 110 ELEMENTS. Is that all !!? ?, if its just elements than we can get that from any book. YOU ARE A Fabulous BUGGER! They are not just elements in this application, as it also contains their detailed explanation about their structures and properties. Furthermore, it also has a massive library of images and videos with people performing different experiments with the following elements. Since these videos are hilarious, hazardous and knowledgeable, this provides us students with fun learning experience we desperately require in subjects like chemistry. This app is pretty complex unlike its given name and, similar to other application in our list but it is also quite fun. As the name suggests this application contains multiple experiments that we perform in our colleges and provides a fun explanation to the concepts that are used in the following experiment. The animation is one of the best features of this app that I would like to point out since it is extremely eye-catching and cute. This app is developed by Myinteracademy.com who have also developed similar applications for chemistry and biology as well. 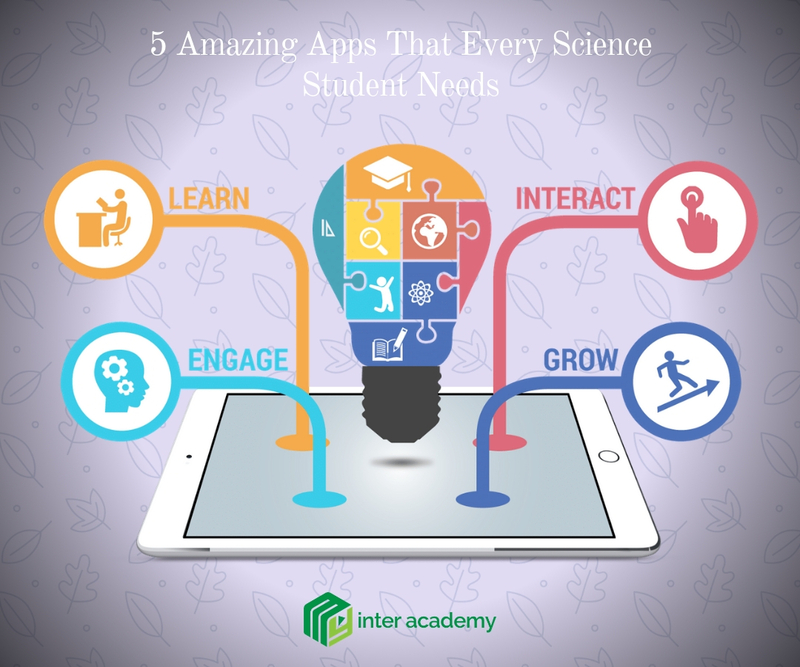 0 responses on "5 Amazing Apps That Every Science Student Needs"